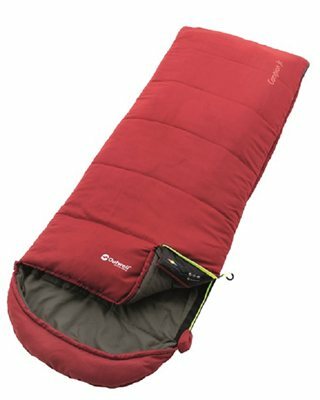 Though Junior in size (W 65 x 170cm), three is no compromise on performance in the Outwell Campion Junior sleeping bag that offers the same colours, classic design and competitive edge as the adult models. It features a polyester outer, cosy brushed polyester lining and a double layer of top-performing Isofill insulation. Packed with practical Outwell inspiration, these bags will deliver reliable comfort year after year; all feature an inside pocket for small items. Anti-snag zip guard, Comfort hood, Full length zip baffle, Easy glide zip system, Inside pocket for storage of small essentials, Cap compression sack.